Michael's Ink has been a part of California since 1990. We are located in beautiful San Francisco, CA where creativity and uniqueness are never in short supply. Our mission has always been to merge functionality with beauty. Our emphasis has changed over the years; though signs are still a major part of the business, art has become more and more prevalent. 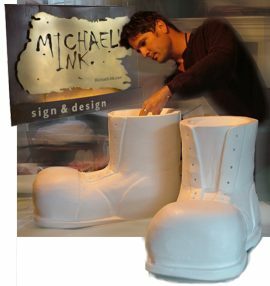 In addition to donating art to various charities, Michael's Ink also offers discounted prices on services for fellow artists. 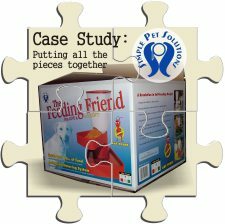 Keep your eyes open for the puzzle pieces as you go through this site. They demonstrate how a complete identity campaign was created for a client and how sign, design, and wide format digital printing all come together.